The Godfather of Soul, Mr. Please Please Please, The Hardest Working Man in Show Business; there are plenty of names that would describe him, but he goes by one first-off: James Brown. He’s one of the greatest entertainers to have lived, and his legacy has been solidified through the music of those who have carried the embodiment of soul in their music, since he was one of the first, if not thee first, to give it life. Michael Jackson (may he rest in peace) was one artist that often admitted that his style as an entertainer was emulated through watching James Brown, and many people consider MJ to be the greatest of all time to do it, so for homage’s sake, we just can’t agree to all of that just yet. For the 20-somethings and younger who only have the recollection of listening to James Brown in 90s movies or witnessing him perform with the aforementioned MJ at the BET Awards in 2003 (still one of the greatest TV moments in the history of television), there’s a lot to the Godfather that we didn’t know about as we were only exposed to the latter of his legendary career that unfortunately ended on Christmas Day in 2006 and that’s why we have biopics handy to give us a bit of a glimpse (through Hollywood’s eyes) into the man and how he lived. The movie touched on his childhood, a troubled child with a broken family, and a young man who was just trying to find his way by any means, and the spirit of God helping him on his journey to (literally) find his voice that would be able to carry him out of the hands of poverty and into swarming arms and cheers of the fans, and what is common with big stars is that there’s often trouble that comes with that. The man’s success of his music was driven by the negative factors in his life, and how he was able to turn that pain into positive rhythmic music that emulated the spirit felt inside of a traditional Black church – energy unmatched. With the constant jump around from childhood, to the young star’s rapid come up, to conflicts with friendships, and even facing troubling times with drugs (which wasn’t touched on a whole lot). 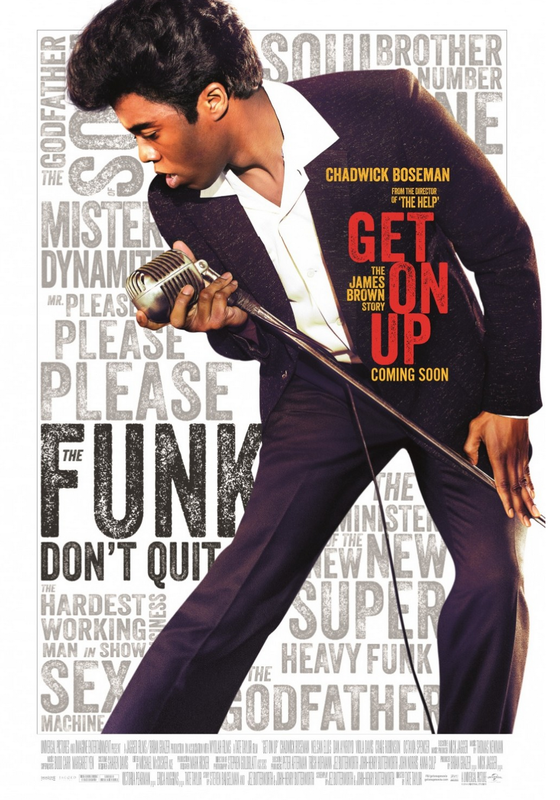 The emphasis was primarily on the music, and Chadwick Boseman did his best by getting the dance moves and the strained & raspy voice down pact.